Practice. As part of the tender AQRate is tasked with drafting the final revised Forestry Sector Code. 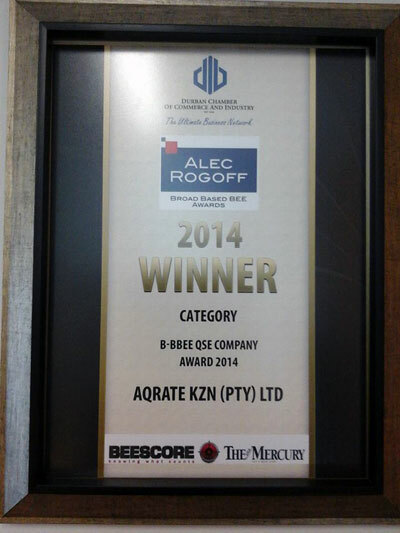 This further entrenches AQRate's role as a thought and academic leader within the Broad-Based BEE industry. In our continued pursuit of excellence and quest to remain the market leader in terms of service, quality and innovation, AQrate is proud to announce our latest offering. 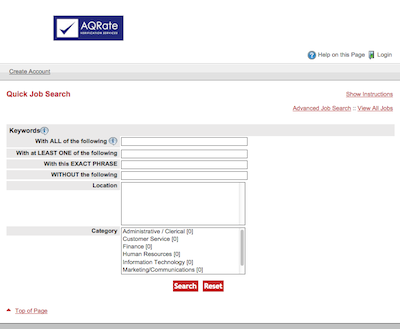 In conjunction with an international leader of talent management solutions, AQrate can now introduce an online applicant system which will allow jobseekers interested in joining the AQRate team to view vacancies and upload their resumes electronically. The application process has been tailor-made to allow jobseekers to effortlessly search for vacancies/jobs or even just to load their CV on the database for potential future applications. The entire recruitment process is automated from start to finish. This in turn allows for rapid feedback and real time updates on whether an applicant has been successful or if the vacancy has already been filled. Our philosophy of acknowledging the importance of high level skills to a credible verification audit; coupled with this new recruitment drive for talent will ensure we provide you with top a level of service delivered by quality and professional staff. Click Here to go to the system. 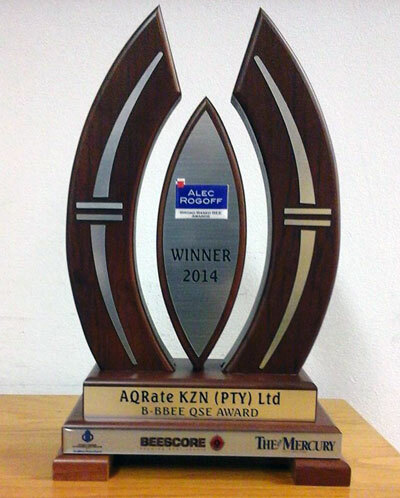 We are proud to announce that AQrate KZN has been awarded the Alec Rogoff BEE Qualifying Small Enterprise award for 2014 by the Chamber of Commerce & Industries at the annual Chamber Awards Ceremony – proving that we not only have the “know-how” of Broad-Based Black Economic Empowerment, but also the “show-how”! 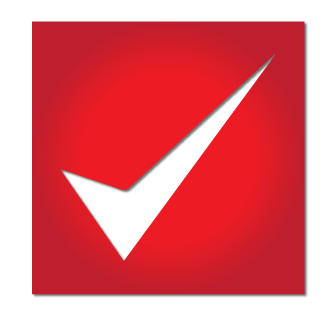 2014 is our 10th Anniversary in the Verification Industry. Thank you to you our valued clients and important stakeholders and peers in the industry – without you it would not be possible to have achieved the reputation of one of South Africa’s leading Verification Agencies. 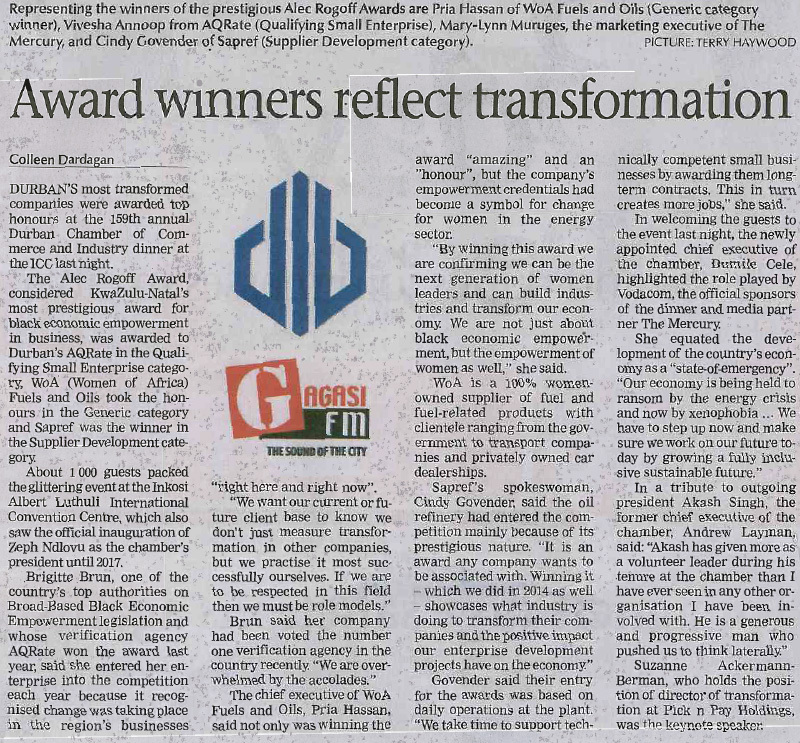 AQRate Verification Services are extremely proud that as per the announcement in Business Day Live on Wednesday the 10th June 2015 , the first three sector codes which are ready for gazetting are the ones which the team from AQRate Verification Services assisted the Sector Charter Councils with. We are extremely proud of this achievement and know that our input into these Sector Codes will be of great value to our clients in these sectors. Trade and Industry acting chief director Takalani Tambani said the focus in the months ahead would be on the alignment of sector charters with new codes of good practice. The deadline for alignment was end-October, with three sectors — tourism, property and forestry — having been finalised so far. 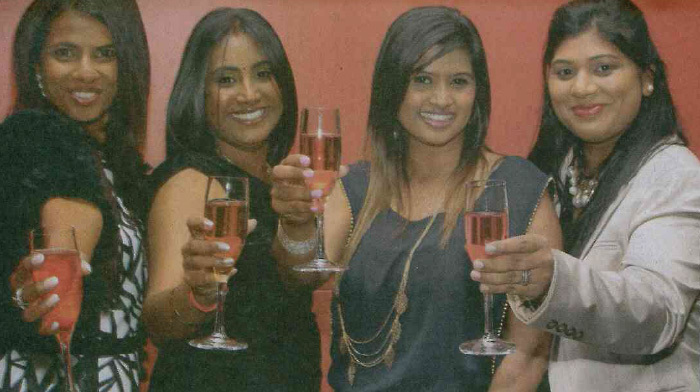 The amended QSE Code was published on Friday 10 October 2014 and will be available for public comment until 14 November 2014. Download it here. The long awaited amendments to the codes of good practice have finally arrived. AQRate Verification Services will review and examine the codes to present you with workshops nationally on the new requirements. Please find information below on some highlights in the codes and confirm your attendance at your earliest convenience. Notice 396 of 2015, released on 5 May was subsequently repealed and replaced by Notice 444 just 10 days later. The notice, which attempted to clarify the practical implementation of the Amended Codes and deal with issues surrounding the alignment of the Sector Codes, also introduced a controversial clause which indicated that black ownership points arising from Broad-Based Ownership Schemes (BBOS) and Employee Share Ownership Programs (ESOPs) would be limited to the indicator 2.2.3 concerning these types of schemes, and should not count towards the main black ownership percentage of the Measured Entity. This clause was repealed in Notice 444, while the DTI appoints a task team to deal with the implications that this might have on businesses. What is clear from this notice is that 1. 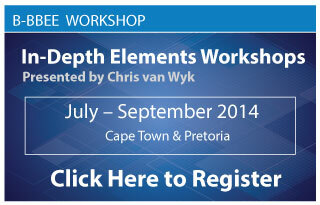 Certificates issued prior to 1 May 2015, and for verifications still taking place for entities with financial years ending before 30 April 2015, the old codes can still be applied. 2. The Sector Codes have an additional 6 months to align with the Amended Codes; thereafter if not aligned by 30 October 2015 they may be repealed. 3. Any valid certificate issued on the ‘old’ code, or the Sector Codes, gives the holder “Empowering Supplier Status” for the duration of that certificate. Notice 407 of 2015 is the first in what is expected to be a number of clarification notices, which should help to explain some of the issues or missing information from the Amended Codes. The first thing the clarification notice did (possibly erroneously) is add a fifth criterion to the Empowering Supplier status definition, specifically for service industry entities, due to the confusing wording of the first criterion which did not take adequate cognizance of the service industry. The notice further made allowances for certificates to be issued by the Companies and Intellectual Property Commission (CIPC) when a business is registered for the first time (all Start-Up Enterprises have automatic EME status). Most importantly, the notice repealed the EAP-based formula contained in Annexe 200(A) and Annexe 300(B) of Statement 200 and 300 respectively, which was erroneous, and replaced it with a detailed calculation of how the compliance targets should be split into the EAP weightings for each indicator. Finally, Notice 408 of 2015, Gazette No. 38766, contains the much awaited Amended QSE scorecard, as well as the final versions of the statements that were left out of the Amended Codes, gazette 36928; including the Specialised Entities Scorecard, Recognition of the Sale of Assets and Recognition of Equity Equivalents.